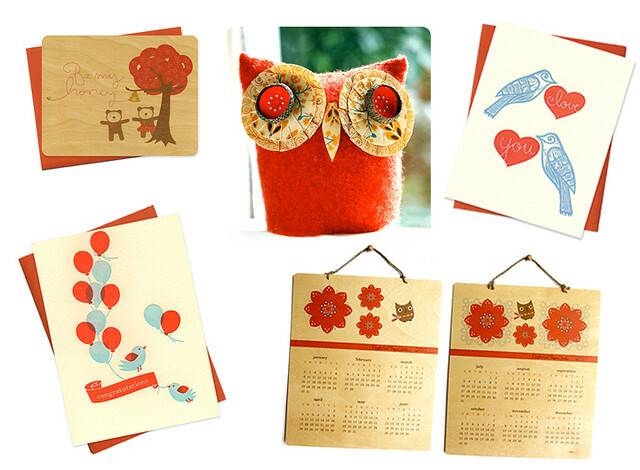 We’re super excited to have just launched 70+ of our new goodies online, so please stop by and view the entire selection at nightowlpapergoods.com. And to thank you for your support, we’d love to offer you and your readers 10% off all orders placed through September 30, 2010! Simply enter the coupon code “veggieangie” at checkout. Forgive me if I got a little sentimental with my wishlist selection. The hubby and I just celebrated our 7 year + 7 month anniversary yesterday. Our Wedding was this past February on Valentine’s Day and I just love the color red. I hope all my readers take full advantage of the veggieangie discount! This entry was posted in Favorite Things, Vegan Product Reviews and tagged eco-friendly, Night Owl Paper Goods. Bookmark the permalink.